Music competition auditions dates for Balham Open Mic UK 2018 have been announced! Open Mic UK is coming to Balham with auditions at Balham High Road. 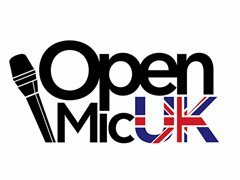 Open Mic UK is more than a music competition in its search for the best singers and artists in the UK. There are loads of music industry advice as well as feedback for the acts that make the live shows. You can enter Open Mic UK 2018 by clicking here! Open Mic UK have announced their auditions dates for the Balham Music Competition 2018! The Open Mic UK auditions will be hosted across the UK with the competition searching to find the UK’s best singers, singer songwriters, rappers and vocal groups in the country! The Open Mic UK music competition is a chance for aspiring singers and musicians to perform to music industry judges who are at every stage of the music competition, from the auditions to the national Grand Final. Judges in the past include representatives from the three major record labels (Universal, Warner and Sony), as well as festival organisers, national radio DJs, regional press and BBC Introducing, with judges getting more prestigious as the competition progresses. For more information and to book your audition! Go to the Balham Open Mic UK music competition 2018 page!